Windcrest is strategically located in central Holly Springs. With easy access to Hwy 55, Hwy 1 and the new 540, giving easy access to RTP. Windcrest features a very wide diversity of homes. Ranging from 1,400sf - 3,500sf and selling between $200K-$350K making some incredible values. The original builder of the development was KB homes. The many features include a pond, sidewalks, playground and a pool. 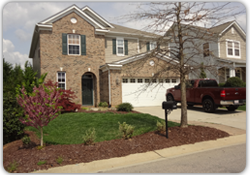 Windcrest has its own Hoa, click here home owners association. 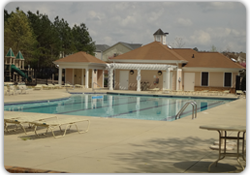 The homeowner dues are billed quarterly, affordable fees in Holly Springs in which they provide a community pool. The subdivision does have restrictions so make sure you check out there site.